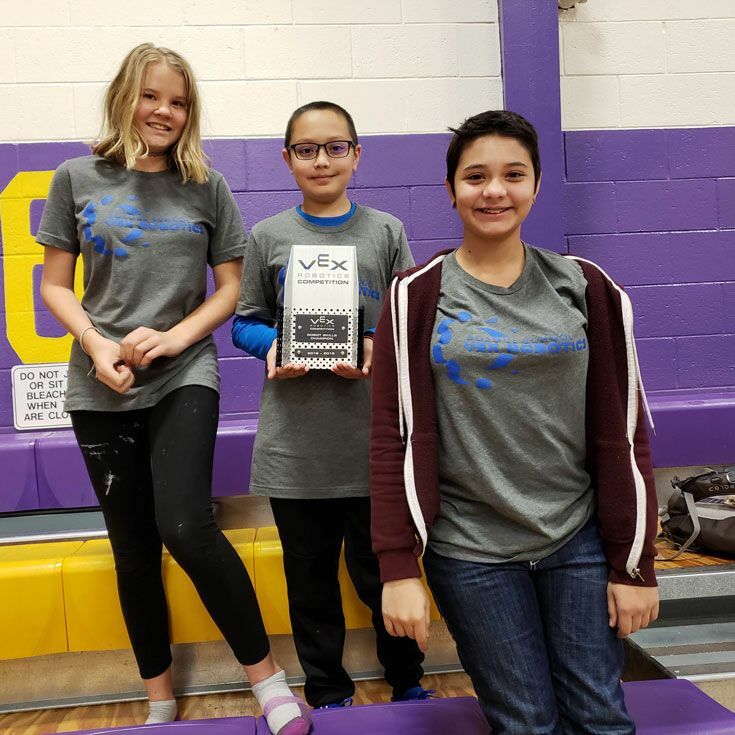 Seven Bosque School robotics teams competed in the finals of the Albuquerque VRC Robotics League on Saturday, December 1, at Garfield STEM School. The finals were the third of three events that started in October. 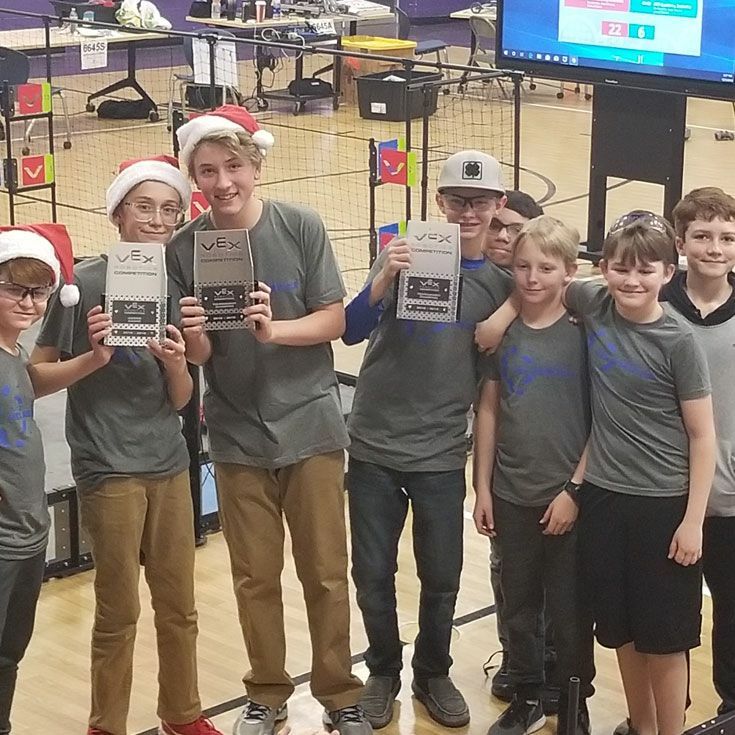 In the first year of VEX robotics in the Middle School, two Bosque teams were Tournament Champions in an alliance! Another team received the Judges Award for exemplary effort and perseverance at the event. A final team won the Robot Skills Champion award for total points scored in an individual event! 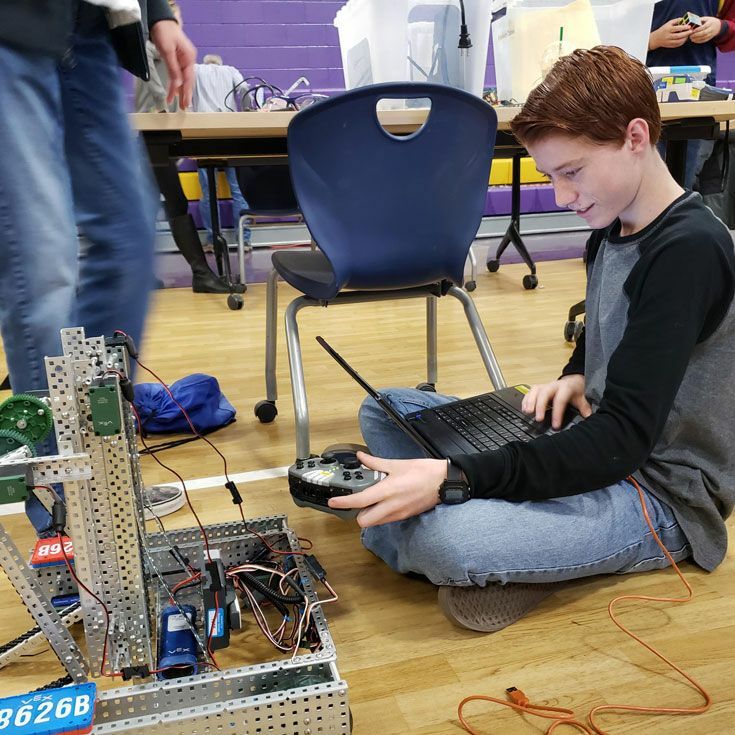 All three teams received invitations to the CREATE U.S. Open Robotics Championship in April! Curt Bland, Bosque School coach and Director of Information Technology, received the Volunteer of the Year Award for his efforts organizing, setting up, and running the events. 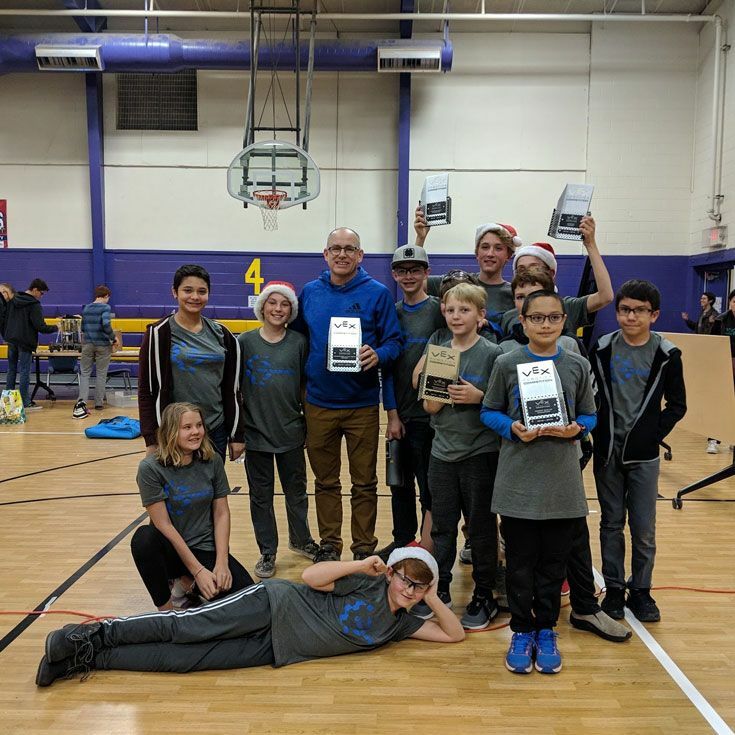 Bosque School robotics teams will be competing in the UNM/Garfield STEM School tournament on January 26, 2019, and the New Mexico State University VRC State Championship on February 15 and 16, 2019. 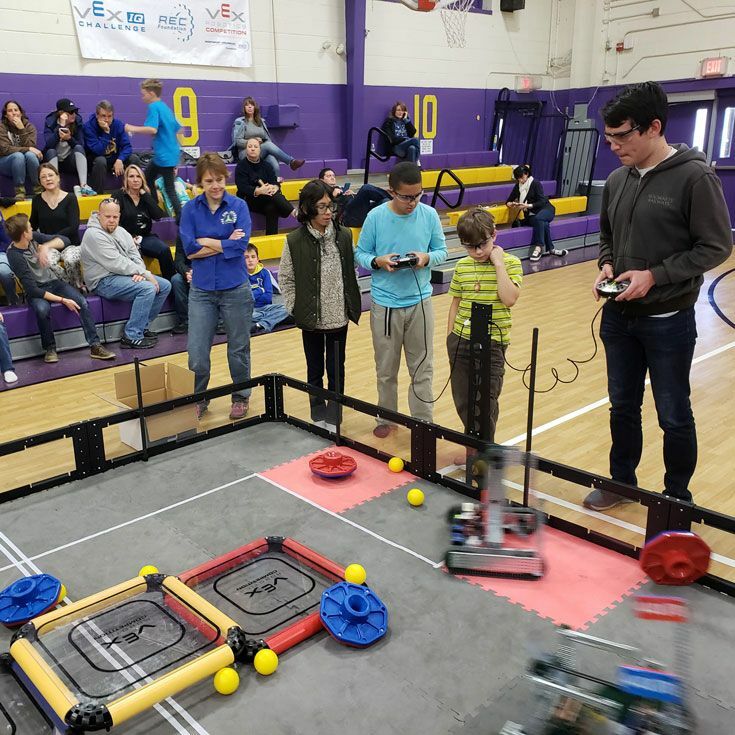 Thank you to all the parents and faculty who volunteered their time to help run the tournament and to those families that have contributed to the Annual Fund and designated Robotics as the recipient!